As our lips met, the search for our security began. Neither of us wanted to believe that we could lose this. Running my fingers through his hair, I gripped his neck with my other hand. I didn’t want this closeness to end. The firmness of his body stretched along mine as he lifted me into his arms. I wrapped my legs around his waist, not wanting to detach from his kisses as they led away from my mouth down my neck. Feeling his breath dance across my skin as he kissed my collarbone brought a shivery delight to my senses. The softness of his lips was such a contrast to the firmness of his grasp as he guided his hands down my back. He spun around, pinning me up against the tree with his weight, as I let my mind wander to what might be waiting for me next. My breathing got faster with each second of anticipation. He slowly brought my chin up and his lips began exploring mine once more. With every kiss, his mouth pressed harder along mine, and my heart exploded with curiosity. I let my hands find their way back to his neck up to his hair, twisting and pulling him closer to me with all of my strength. He pulled away slightly, and I opened my eyes to see him searching my expression for something. For what, I wasn’t sure. My hand trailed down his chest to the first button that I attempted to unfasten. Love the excerpt. It sounds really great. Already put it on my TBR list. Sounds fantastic! Thank so much for sharing! I really want to check out this series. And I love those covers! Thanks for the giveaway! I am so excited about this series. 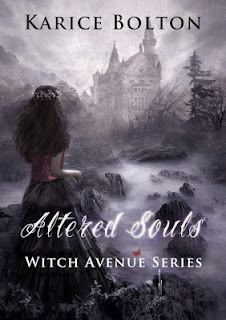 I just picked up Lonely Souls and am really looking forward to reading and then continuing with Altered Souls. 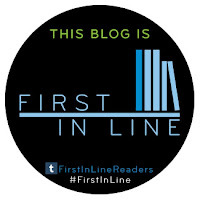 I love a series where I get to start the next read right away and do not have to wait a year to find out what comes next LOL Thank you for sharing with us today.